LIAM GALLAGHER: AS IT WAS tells the honest and emotional story of how one of the most electrifying rock frontmen went from the dizzying heights of his champagne supernova years in Oasis to living on the edge, ostracised and lost in the musical wilderness of booze, notoriety and bitter legal battles. 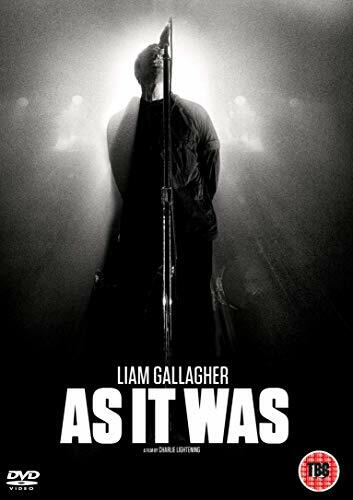 Starting again alone, stripped bare and with nowhere to hide, Liam risks everything to make the greatest rock’n’roll comeback of all time. The Blu-Ray and DVD is up on Amazon UK to pre-order the DVD click here the Blu-ray is available from here. Outside the UK check your local Amazon store.